Dinner should always be nice and light, as this will (should) ensure a good night sleep. And a lovely soup can be the answer. A few simple ingredients, a few tricks, a bit of magic, a blender, and voilà, dinner is served. Tomatoes are at their best in August, they are juicy, extremely tasty, and would be rude not to use them as much in as many recipes. Cooking at home is so easy, and l cannot believe how much money people spend on ready-made soups. So many nasty ingredients are added to give a better taste. I am always shocked to read some labels, you hardly get any vegetables in your soup. Not to mention the soups in sachets, which are really bad for our health. Unfortunately, once the tomato season is gone, most of them are tasteless, even if we can easily find them in any supermarket all year around. And that’s because they are probably full of nastiness to get them grow quickly, beautifully round, and red. Mum always has tomatoes in her garden in summer time, and I must say, not a single tomato looks like each other. They are never perfectly round, spotless, but guess what, they are the tastiest, and best tomatoes in the world. No chemicals to alter their taste, just the real deal. 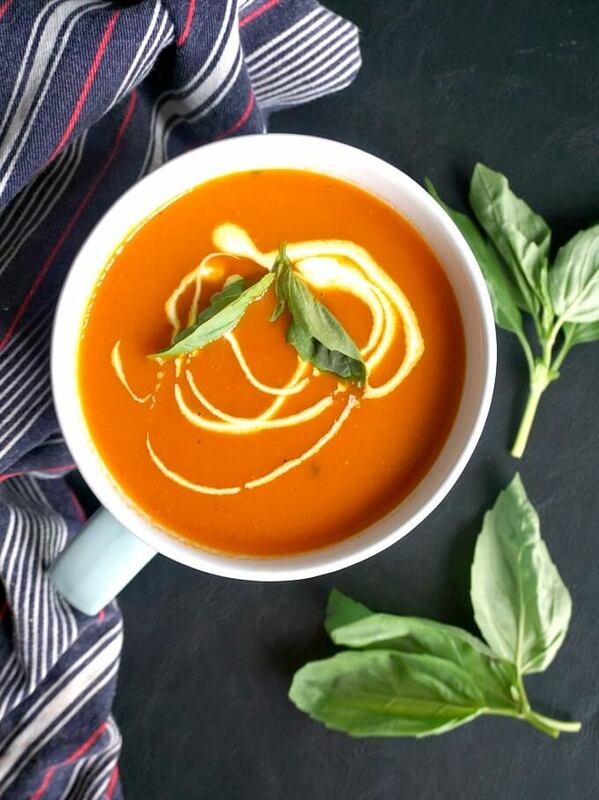 This roasted tomato and red pepper soup, for instace, it’s one of my favourite recipes ever. It’s dead easy to make, and you know you can actually control the amount of salt that goes in. Canned soup are known to have a rather worrying amount of salt added. 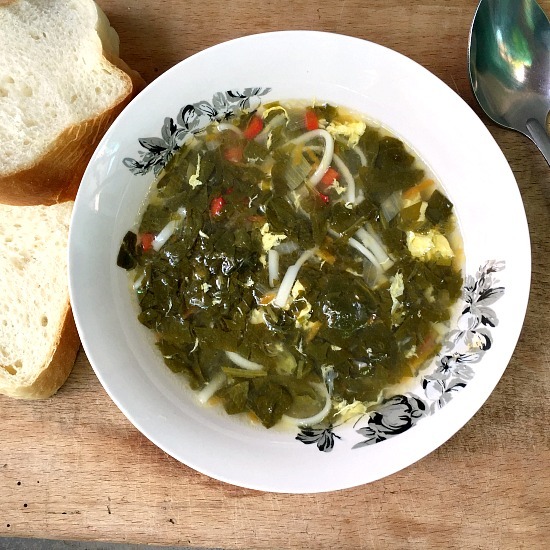 About the tricks, I know that anyone can make a soup, what can be so difficult about that. But still, if you want to make a top notch soup, and not any bland soup, then there are a fews tips for you. 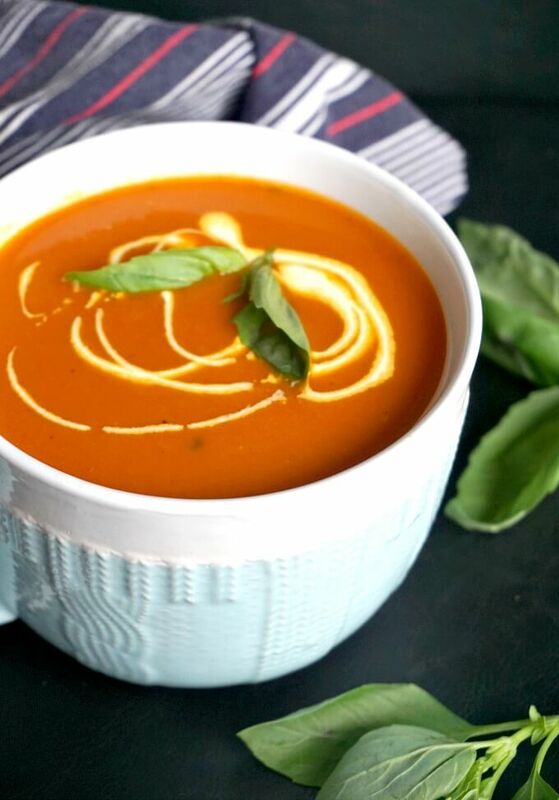 And with the tomato soup, roasting will always give you that unique deep flavour that we are after. You can add all the ingredients in the pan and just boil them, but that would be just some okayish soup. Roasting, however, is something else. The full flavours are released, and you are left with something a lot more delicious than the canned soups. You can also roast the onion at the same time, but l prefer to light fry it to get that lovely caramelised taste. Some people may like to serve the soup with cream as well, I just added a bit on top, but you can also add some while you blend the tomatoes and the peppers. If you like your soup with a bit of a kick, try making it spicy by adding some chilli flakes to it. 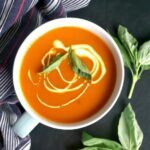 If you’ve liked my ROASTED TOMATO AND RED PEPPER SOUP or any other recipe on the blog then don’t forget to rate the recipe and let me know how you got on in the comments below, I love hearing from you! You can also FOLLOW ME on FACEBOOK, and PINTEREST to see more delicious food and what I’m getting up to. Cut the tomatoes in quarters and place them on a roasting tray along the red peppers. Roast for 45 minutes or until the skin of the peppers is charred and soft, and the tomatoes are roasted. In a pan, add one tbsp of vegetable oil. Cut the onion finely and fry until golden. 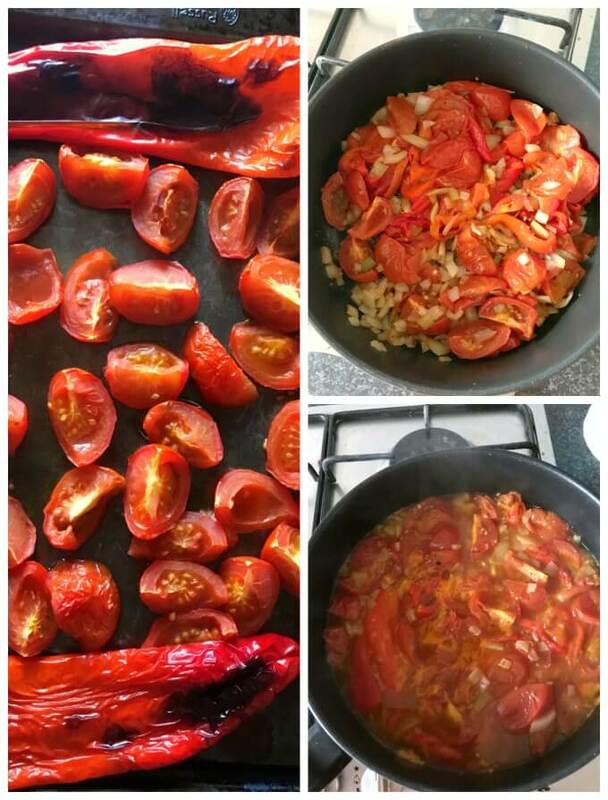 Remove the skin of the peppers, then add them to the pan together with the roasted tomatoes. Add the vegetable stock and stir. then leave to cook for about 5 minutes. Add half of the tablespoon of chopped basil, and season well with salt and pepper. 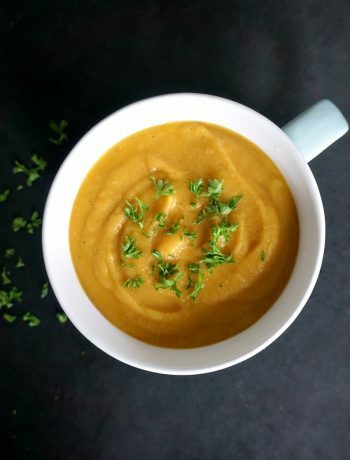 Pour the soup in the blender and blend until smooth. Sieve the pips out, then transfer to a pan and reheat it. Transfer to a bowl and serve hot with some cream. Mmmmmmm……Good manners: The noise you don’t make when you’re eating soup. Delicious ?
? thank you for stopping by! Thank you! Glad you like it ? Thank you! Indeed, using fresh tomatoes when they are in season adds a distinct flavour to the soup. 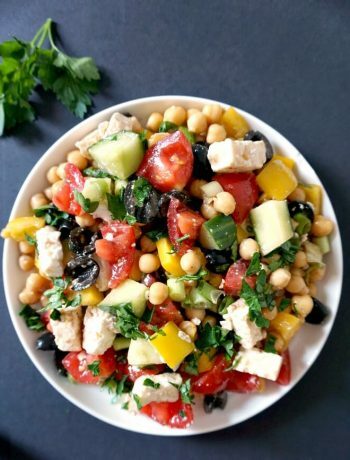 This Looks very tasty… definitely gonna try this recipe…!!! Thanks for sharing..!!! Thank you very much, l hope you’ll like it ?